Are Your Miles Getting More Valuable Over Time? Now, I don’t think there’s anyone that likes miles & points more than I do, but I have an “earn & burn” philosophy. Never think of miles as a long term investment. Instead earn them as quickly as you can and then redeem them as quickly as you can. Personally my approach is to never have more miles in an account than I can reasonably redeem within six months. That’s why I like to diversify my miles as much as possible. Can points get more valuable over time? Short term, yes. For example, sometimes an airline announces a new partnership which opens up a great redemption opportunity. For example, when Alaska Mileage Plan miles became redeemable on Emirates, I’d say that increased the value of those miles short term (go figure they’re having issues now). Fancy redeeming miles for a shower? That being said, long term the value of a particular points currency almost invariably goes down (fortunately it also usually becomes easier to earn points over time, which sort of balances things out for the earner and burner). But what argument could possibly be made for the value of points always going up on a per point basis? In the short term, moves like BA’s are inflationary: A point buys you a smaller share of a flight today than it did yesterday. But in the long term, when compared to prices, all points programs tend to be the opposite—they’re deflationary. This is because airline fares—as tracked by the US Bureau of Labor Statistics—have been increasing faster than inflation, but reward ticket prices as measured in points have not. And of course, the distance between two cities—the proxy used for point accrual—remains constant. 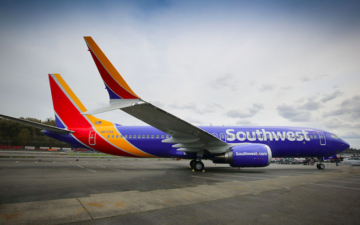 Airlines hike their prices much more frequently than they update their rewards programs. Since Jan. 1985, there have only been 13 months in which airfares were cheaper than they had been five years earlier. 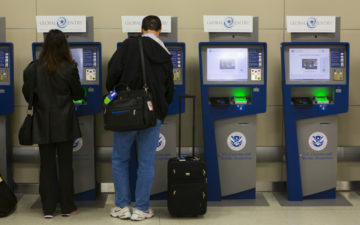 The number of points needed for award tickets at many US airlines has remained constant or even gone down since the 80s, notes MileCards.com. A flyer earned 50,000 points in 1980 after spending the 2015 equivalent of $1,000 on four $250 flights (equal to $88 per flight in 1980 dollars). In 1980, she could have redeemed those 50,000 points for another $250 flight. Today, she can still redeem those 50,000 points for the same flight—even though that flight now costs $340. Those are a lot of statistics for a fundamentally very flawed conclusion. It’s true that airlines have for the most part kept the 25,000 mile roundtrip domestic award constant. This is a big selling point for the credit card companies, so that’s one value that hasn’t changed much over the years, at least on paper. What has changed, however, is the availability at the saver level. Now, I wasn’t around to redeem miles in the 80s, but it’s my understanding that award availability at the saver level was much better back then than it is now. So yes, Delta still charges 25,000 miles for a roundtrip domestic award ticket, but the above does nothing to account for the fact that they now have God-only-knows how many tiers of award pricing (they don’t even publish them anymore! ), and that space at the saver level is extremely difficult to come by. So much for the 25,000 mile domestic saver award! And let’s not even talk about fees (close-in ticketing fees, change fees, redeposit fees, booking fees, etc.). The article is assuming that in 1980 you were redeeming 50,000 miles for a ticket that would cost $250 in today’s dollars. That’s a redemption value of half a cent per mile. And then they argue programs have become more valuable, because now you can redeem those 50,000 miles for a $340 ticket. Yep, the aspiration here is redeeming your points for two thirds of a cent each. In most cases you can redeem miles for merchandise at a better rate than that (and that’s a horrible use of miles as it stands). To use another extreme example, last year United devalued their award chart. Before the devaluation, a one-way first class ticket between the US and Southeast Asia on a partner cost 70,000 MileagePlus miles. Overnight the cost increased to 130,000 MileagePlus miles one-way. Lufthansa first class awards are more expensive than ever before! I’m curious, does anyone believe the value of points is going up long term? How Much Food Can You Order In First Class? I love how Frontier still pimps its CC on flights with the same old “domestic round trip, including to Alaska, is only 20K.” Yeah, good luck finding that. And dear FA, you might want to know your employer no longer flies to Alaska. I think this is an apples to oranges comparison when you talk about economy redemption vs premium redemption. If you redeem for economy, the author of the article has a point as you are doing a direct benefit analysis against the cost of the ticket in cash. A 10% devaluation in points can be considered a bargain compared to a 20% increase in ticket price. When you redeem for premium seats, the dollar value doesn’t matter since 99% of us would never pay for it anyways. Does it matter if the Singapore Suite costs $12,000 or $13,000? Not one iota, but it does matter if it costs 70K Points to 80K or 130K points. His math holds up for any seat domestic economy awards. 50k then and 50k now on United. Though AA and DL have changed that somewhat…esp AA with last years change. Premium….I guess it depends on your point in time. Does 150k get you more now than 25 years ago? Probably given the flexibility now. But versus 5 years ago, no. I agree with their argument within a limited context, primarily the 25,000/50,000 mile domestic award. I found it odd that your arguments that they did not take into account availability and optimal use of points was so obviously biased to make your case. You argued lack of availability by pointing to Delta, which everyone knows has the worst availability of any American airline. For the most part, when I have needed a single ticket on a domestic flight on either United or American, there has pretty much always been some availability for me, usually both coach and first. Although suboptimal use had nothing to do with their argument (very clever to argue a different issue entirely to refute their assertion), I also found your argument that they are using suboptimal use of their points used their numbers, which made no sense to start with. This was presumably based on a return first class domestic ticket (in order to cost 50,000 points), which, in my experience, would never cost $340; it would be considerably more than this. As far as I can tell, they were just using a number for comparison purposes over time, not citing a particular redemption, but you used it as if they were particular redemptions. Actually, if you like to redeem to fly domestic first (No, I don’t know why you would! ), then you would probably find the average redemption value to be about 5 cents per mile (my redemptions have ranged from 4.7 to 6.6 cents per mile). Even my regular domestic coach redemptions have averaged 2.2 cents per mile. These are still suboptimal, but using real world values would make your argument considerably less useful in trying to refute their point. Their point is that airfare prices rise over the long term and if the redemption level does not, then your points become more valuable. This is only correct if both of their conditions are met (airfares rise and point levels do not). The conditions would appear to be met in the domestic market, so their conclusion is correct for people who use their miles to fly domestically. I think the article makes sense for the way that most people use frequent flyer miles. Miles tend to be more consistent than airfares (I mean the standard 25k/50k for domestic awards has lasted for years, even if those “saver” awards are harder to come by). Thus fares historically increase (and the value of the dollar simultaneously decreases) over time more rapidly than airlines devalue their mileage programs. Even programs like Delta, compensate for their terrible redemption rates by making miles easier to accumulate. So if you look at it from the perspective of $/mile in the sense of how much the airfare would cost and how many miles you would have to use and you factor in that you would have paid for the ticket if you didn’t have miles, they are typically right. Where this breaks down is for the sort of aspirational awards that are typically featured on this blog. Since very few people would ever actually pay for an international F ticket, the only price that really matters to us is the cost of the flight in miles. It doesn’t matter if in the same time that the mileage redemption price for roundtrip international F went up from say 100k to 150k that the same ticket went up from $10k to $20k. No one was ever going to pay the $10k to begin with and it doesn’t matter that the cost of the ticket increased far more rapidly in dollars than miles. All that matters is that it now costs 150% as much to take the same trip as it used to. Essentially you are both right. You are absolutely right that for you, miles almost never get more valuable over time. They are right that for most people who use miles, that the increases to airfare costs and devaluation of the dollar typically outweighs any devaluation to mileage redemption rates. That said, I do agree with your “earn and burn” philosophy and would never advocate hoarding miles under the presumption that they will increase in value. Don’t get me wrong, the cost of airfare rises, but the purchase power of your dollar won’t collapse overnight the way it does with mileage program devaluations. It’s just that over time, mileage redemption rates don’t go up as consistently or as much as airfares do. In the 80’s, it was 30,000 miles round trip to Europe. Obviously that’s long gone, but whatever paragon of journalistic accuracy wrote the article must have missed that. Earn and burn? Really? That is easier said than done. 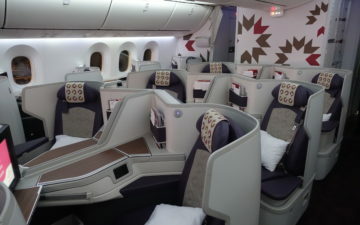 I use my miles once or twice a year and strictly use them for long haul First Class. I earn faster than I can spend so consequently sitting on over 1M miles most of which are on USAir and SPG. Even if F awards double in mileage requirements, while sucking, its still free… So I for one will travel when convenient and desirable not just to burn for the sake of burning. Give me a break! One of the hidden factors in award redemptions is the actual ability to redeem for what you actually WANT. Having the award cost fewer points doesn’t necessarily mean that you can get that award–this is one of my biggest challenges with AA, which has a better award redemption chart than UA and DL currently, since it hasn’t (yet) devalued, but which also seems to have fewer awards to redeem at the “saver” or lowest award level. So having the “better” award redemption chart doesn’t necessarily help me much if the better award isn’t often available. UA may have devalued, but it turns out that I can almost ALWAYS redeem my UA (and Chase URs transfers to UA) miles for F or C or Y class awards on UA anywhere it flies. I usually can redeem those same UA miles towards partner F or C or Y class awards, though availability does vary from partner to partner and isn’t usually as good around partner holiday periods. UA awards may cost more than AA awards, but UA awards are FAR easier to get than on AA or its partners in my experience. I therefore argue that points do become more valuable over time, even with devaluations–partly because devaluations make it harder for OTHER potential customers to redeem for the same awards, thereby creating less competition for the same award routes. This is especially true for longhaul premium class awards, but with “saver” level awards becoming scarcer, it is even true in my experience for short-haul and cross-country domestic Y and F awards, as well. That is my experience, which may not mimic that for everyone…but my experience has been fairly consistent. I redeem awards for premium class tickets on lots of airlines, since I diversify my points as most should and most recommend–with Chase URs and SPG mostly, but also with Amex MRs. I can almost ALWAYS get the UA or *A partner award in J, and often in F when available using UA miles. I sometimes but not often can get the BA or AA or OW partner award in F or J when available. I often but not always can get the AF or KE or SkyTeam partner award in J but never in F. I almost never can get the DL partner award in J using DL miles, but have much better luck with AF (transferred from Amex MRs) in getting partner awards in J with SkyTeam. Overall, for those with LOTS of stashed miles/points in the many broad award currencies like URs, SPG, and MRs, it is now easier to get the premium class awards than it was before–partly because there are fewer competing consumers able to pay the increased award redemptions. It may cost more, but I now can basically redeem for anywhere I generally want to go, no matter how distant. That is worth something, and that is something that rarely is factored into the points valuations. The author has a really wacky understanding of inflation, monetary value, and purchasing power to begin with. The dollar cost of the flight may have gone up, but if the flight is the same, the miles have not increased in value: they are being exchanged for the same or equivalent product and are thus worth as much as they were before. The article also fails to consider that $250 in 1980 bought way more other stuff than $340 buys now. And, I don’t have the evidence, but I wouldn’t be surprised if the flight that costs $340 now actually cost more than $340 in 1980, in 1980 dollars. Increasing competition in the airline industry has meant that inflation in airfares has been way below other industries, especially if you consider a timeframe like 1980-2006 or so. I UNDERSTAND NOW. This guy applied for the Delta Skymiles marketing job that was posted! The reason they say “lies, damn lies and statistics” is that you can ‘prove’ anything simply by selecting your facts and ignoring all inconvenient facts. If you were a scientist, selecting data would get you drummed out of the academy, but in the humanities, social sciences, journalism etc it is not only widespread but it is considered normal. $1,000 in 1987 buys you about what $2,000 does today. 25,000 miles back then bought you about what 50,000 miles does now – a coach seat on most domestic flights. And you can still buy something of that value for just 25,000 miles. So yeah for the most popular domestic redemption I can see how miles haven’t really lost much ground versus a plain dollar’s inflation, and maybe came out ahead in some ways. That is indeed the dirty little secret about loyalty point or mile “devaluations”:They INCREASE the value of points/miles because they also increase award availability for those with a lot of points or miles saved [this echoes the same counter-intuitive point made here: “https://milepoint.com/forums/threads/point-values-by-hotel-category.114928/page-2#post-2557116 “].